FLETCHER — Charles D. Willis, age 82, of Fletcher, passed away on Sunday, Dec. 2, 2018, at 10:08 p.m. in Springmeade Health Center,Tipp City, OH. Born on Nov. 27, 1936, near Fletcher, OH, Charlie was a son of the late Lloyd J. and Margarite (Miller) Willis. He was preceded in death by his wife, the former Mary C. Jelleff in 2015; two grandchildren: Michael and Meghan North; brothers Glenn, Carl, Gene, David and Bill Willis; and a sister, Lillian Caldwell. Charlie is survived by five children: Richard Bradley Tucker of Piqua, Cindy Hutson of Casstown, Elizabeth Tucker-Lince of New Carlisle, Charles (Tracey) Willis and Eric (Heather) Willis both of Magnolia, TX. He was a loving grandfather to 14 grandchildren and eight great grandchildren. A brother, George “Jack” Willis and a sister, Etta Kress, both of Piqua also survive. Charlie was a 1955 graduate of Brown Local High School and served his country in the U.S. Army from 1960-1962. He retired from GM in Vandalia with 30 years of service. Charlie enjoyed working on his farm. 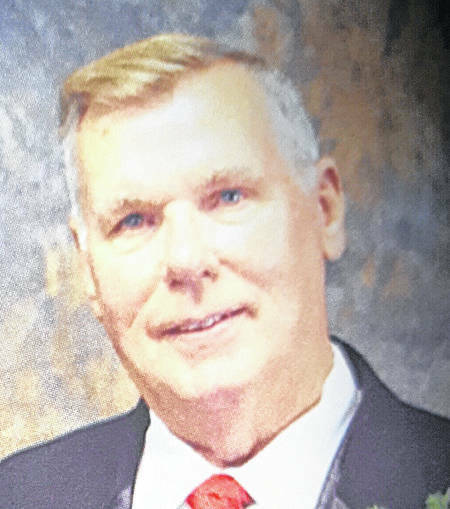 Funeral services will be held on Saturday, Dec. 8, 2018, at 12 p.m. in the Suber-Shively Funeral Home, 201 W. Main St., Fletcher, OH with Pastor Lincoln Robinson of the Piqua Nazarene Church presiding. Burial will follow in Fletcher Cemetery with military honors by the Veterans Elite Tribute Squad of Piqua. Visitation from family and friends will be held on Saturday, two hours prior to the funeral service beginning at 10 a.m.
Memorial donations in memory of Charlie may be made to American Cancer Society, Southwest Regional Office, 2808 Reading Road, Cincinnati, OH 45206. Envelopes will be available in the funeral home.